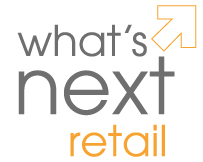 New blog post on retail leadership site What's Next Retail discusses how workforce management software has evolved and how related current best practices can finally provide substantial value to retailers. The notion of basing scheduling solely according to the variables of shifts, workforce, and labor output is outdated. In his latest post on retail thought leadership site WhatsNextRetail.com, Dayforce Chief Strategy Officer and workforce management expert John Orr says that retail leaders must rethink their methods of improving net profit margins and company valuations in a manner that delivers what customers, employees, and corporate leaders want. Orr contends that the traditional ways that retail organizations attempt to accomplish this - by strategizing more effective ways to manage their labor spend – the highest expense on their balance sheets – and deploying Workforce Management solutions accordingly is old school thinking that does not work anymore. In the post, Orr said, "The notion of basing scheduling solely according to the variables of shifts, workforce, and labor output is outdated. It does not take into account the deployment policies and skills that are required for the quality, consistent service that is necessary to convert traffic into sales and drive customer loyalty." Orr said that a paradigm shift is needed in the retail industry, both on the part of businesses and on the part of solution providers, to enhance customer and employee experiences and boost net profit margins and company valuations. Labor spend, customer traffic, service quality, and employee and manager experience must be present throughout all stages of enterprise workforce management in order to maximize profits. John Orr is the Chief Strategy Office at Dayforce and a contributor to WhatsNextRetail.com, a thought leadership site for retailer executives led by members of the Retail Industry Partner Community, a network of Microsoft Dynamics partners. 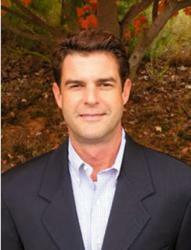 You can read more from John Orr at What’s Next Retail.